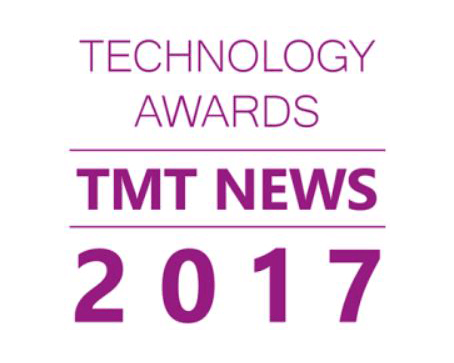 JeraSoft, a leading billing solution provider, announced today that it had been honored to receive a Technology Award 2017 given by TMT Magazine. The company has been recognized in two categories as the “Most Advanced Telecom Solutions Provider (UK)” and for the “Most Innovative IoT Billing Platform”. TMT’s Technology Award 2017 honors companies who have demonstrated innovation technology solutions that improve the bottom line for their customers as well as exceptional leadership in developing new technological advancements in their respective industries. This achievement recognizes the unique, patented billing technology behind JeraSoft’s products for communications and Internet of Things industries — which focus on growing capabilities to sustain the business growth of the customers via automating billing, rating and routing processes — for its novel and creative approach to solving some of the industry’s most challenging problems. “We are honored to be recognized by the industry opinion-leading organization and the public for our day-to-day work and efforts. However, as pure engineers, we measure the company’s and team’s success by the number of satisfied users on a daily basis and customers who sustain business growth year to year. “ – believes Andrii Zinchenko, CTO at JeraSoft. “This year we have launched the IoT Billing Platform and significantly empowered the system for telecoms. It has moved us one step forward in developing multicomplex marketable solutions, strengthened with thorough technical support aimed at making our clients forget about any functional and technology limits while extending their businesses and markets. That is the strategy behind JeraSoft’s development and success over the last 12 years.” – he added. JeraSoft’s solutions enable IoT and telecom providers around the world to simplify billing processes so they can focus on strategic business priorities and breakthroughs. Through the years, JeraSoft has been recognized as a leader in agile solutions development by customers, partners and the tech and communication industries garnering them a wide range of awards for eminent service standards as well as business inputs. For general and sales inquiries regarding JeraSoft billing solutions, please contact the Sales Team at [email protected] or use the form and a team member will get back to you as soon as possible. Please contact JeraSoft Support for any product or support related questions at [email protected] or visit JeraSoft Documentation. OSS / BSS systems (Operations Support Systems / Business Support Systems) are designed for integrated management of enterprise telecommunications resources. Initially, such solutions were entirely aimed at operational support of telecommunications networks. Now, such business tasks are being solved within one module of the modern OSS / BSS system. 20 Jan 2017 Hosted or Own Billing Solution?